Helge C. Balzer was born in Northern Germany. Even as a teenager he made short films and advertising spots and worked as a storyboard artist. He studied 3D computer animation and concept art at the Film and Television University Konrad Wolf in Potsdam Babelsberg (Hochschule für Film und Fernsehen Konrad Wolf). 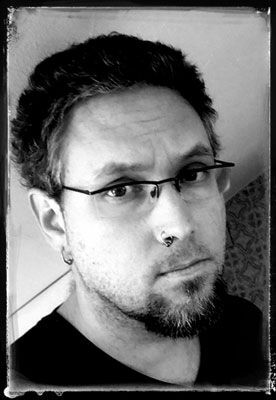 Helge then worked as a matte painter, modeller and animator for two years. Besides working as an artist on numerous international game productions, as a film director, production designer and producer he created and produced several short films, winning international prizes. Helge now lives in Marburg, Germany, working as a freelance illustrator, concept artist and art director in the movie- and games industry.